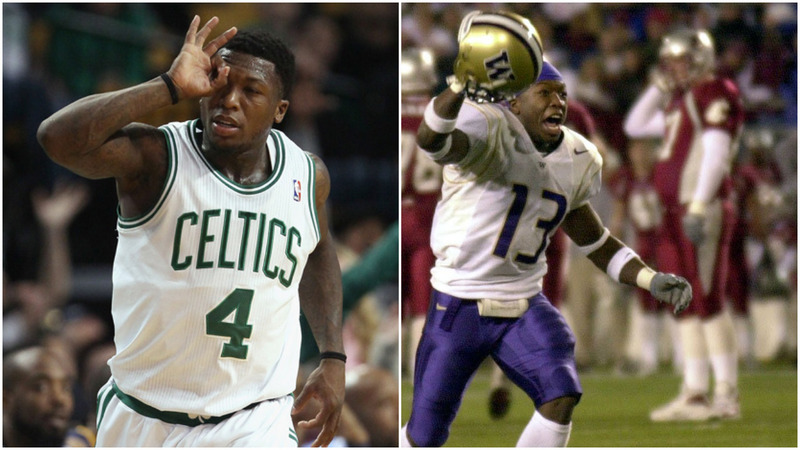 Former Celtics guard Nate Robinson, whose NBA career has been stagnant the last couple years, announced back in March that he was interested in pursuing a career in the NFL. Sounds like he was pretty impressive for a guy who hasn’t played a down of football since his freshman year of college in 2002, when he had two interceptions in 13 games for the Huskies. Nate spent 11 years in the NBA, playing for eight different teams. He’s the only to player to win three Slam Dunk Contests and he played a big role in the Celtics’ 2010 Finals run. Out of all his great accomplishments, making an NFL roster at age 32 without any experience in the last 14 years would be his most impressive feat thus far. If he were to pull it off, Robinson would be the first person ever to play in both the NBA and the NFL.